Find out how one of these days’ most popular Hollywood males works out. Garrett Hedlund wasn’t always weighing 200 pounds. Today we are stepping into the virtual world, where everything is possible. The characters can be perfectly beautiful of unbelievably ugly, the places are either luxurious or dark and terrifying and everything in this world can be shaped up. Including the bodies. Some of us, when entering a virtual world (of a game or a social network) pretend to be better – taller, smarter, cleaner, richer and so on. But what happens when, even in the virtual word, you have to put yourself out there? You start working out. 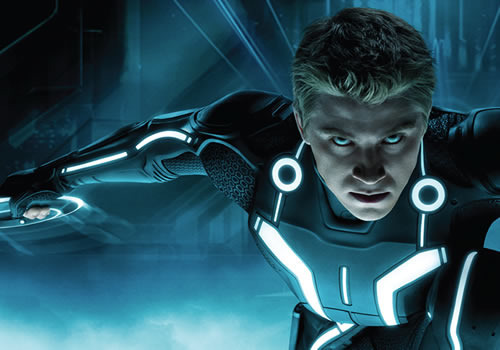 You can see Garrett Hedlund in his latest movie, Tron: Legacy. He is Sam, the son of a mastermind in cybernetics, who created a parallel universe similar to a video game and has been taken prisoner by his own creation. Sam was only a child when his father disappeared. As a grown up, he turned into a rebel. One day, though, he receives a sign that his father might not be gone after all. “Garrett didn’t repeat any workouts, which helped keep him engaged” he said. This was very important for both eliminating the routine as well as for getting in 9 weeks the results that normally show in 40 weeks. Garrett had the body tonus from his previous workout program which consisted in daily 2.2 miles jogging, followed by what he called “living-room prison workout”, where he followed the example of inmate workouts: pushups, sit-ups, squats, pull-ups and more. In order to gain more muscle, with the help of professional training he turned to a set of exercises with no break in between: bear crawls, tire drags and box jumps. In addition, he did overhead presses to gain strength in his shoulders. Garrett has always been attracted by sports. Growing up in Minnesota, on a farm, he developed a strong will of being put in the open and being fit. When in school, he had this idea that he wanted to be the best runner. So he started chasing cows. Whenever a cow would get scared of something and would run away from the herd, he would run as fast as he could to bring her back. This, as his first type of workout brought him the title of the best runner at his school.